Whenever you use an app to communicate with your friends, it’s always useful to be able to select your most used contact quickly. Instead of going through the whole process of choosing a contact a quick access saves some valuable time. That’s what Snapchat wants to do for you too by having your best friend within a taps reach. Even though it was nice of Snpachat to do that for us, there is one question that stands out; Can it be modified in any way? You may want to hide best friends on Snapchat, just in case someone has access to your phone and somehow wonders to this part of the app (highly recommend an AppLock). Before, your best friends list was in your public profile and sounds like Snapchat got a lot of complaints and changed this. Now, you are the only person who can see this list. If you let someone use your phone for whatever reason, that’s on you. How to Hide Best Friends on Snapchat? How to UnBlock Someone on SnapChat? How to Prevent Someone from Appearing as a Best Friend on Snapchat? Why Don’t I have Best Friends on Snapchat? If what you want to do is hide the entire Best Friends list on Snapchat, that is something that can’t be done. Maybe Snapchat will add that feature in the future, but I wouldn’t hold my breath. You just have to do what you can with what Snapchat gives you. You can’t hide or delete your Best Friends list, but you can remove a particular contact from it. If there is a person that you want to remove from the list, you will need to block them and then unblock them. The process is easy and fast. Something a beginner can do. Don’t worry; you are probably worried about that they will get some message that they were blocked. When you block someone on Snapchat, they won’t get an official message saying that they will be blocked. What will happen is that they won’t be able to see your stories (among other things), but you shouldn’t worry, since you will only be blocking them for a few seconds. They will not even know you temporarily blocked them unless you tell them of course. At the top, you will see a list of people Snapchat thinks are your Best Friends. Snapchat has a system to how it determines who your best friends are, but I will explain that later. From your Best Friends list, choose the person you want to remove from the list. To the right of the ghost, you will see a gear icon you need to tap on. You should see three options; Edit Name, Remove Friend, and Block. Tap on Block and that friend is now blocked on Snapchat. 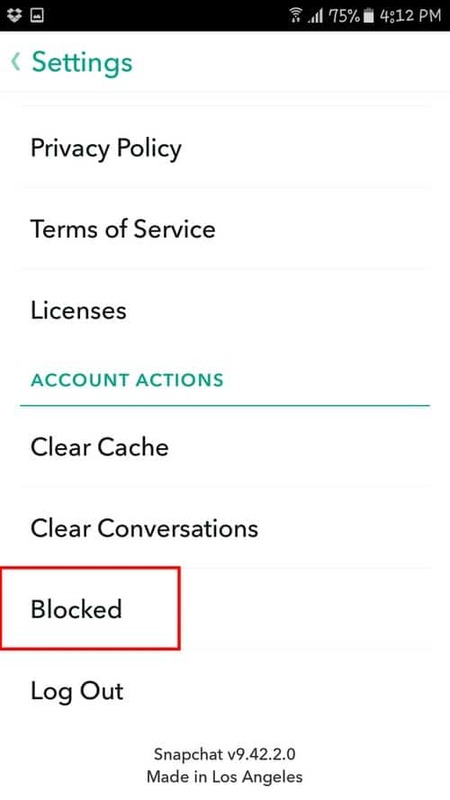 As I mentioned before, you will now need to unblock that person to remove them from your best friends list on Snapchat. To unblock them go back until you see the big white ghost with the options Added me, add friends and my friends are. You can also close the app and start from the very beginning, whatever is easier for you. If not you can just hit the back button until you arrive where you need to be. Once you are here, you will see a gear icon on the top right-hand corner, tap on it to go to Settings. In Settings, scroll all the way down until you see the Blocked option. Here, you will see the names of all the people you have blocked on Snapchat. Carefully choose the person you want to unblock and then tap on the x that is to the right of their name. Read carefully since you don’t want to unblock the wrong person, right? This simple gesture will unblock them and everything will go back to how it was before. Snapchat monitors the people you will chat with the most and the people you talk to the most in the past seven days are labeled your best friends. 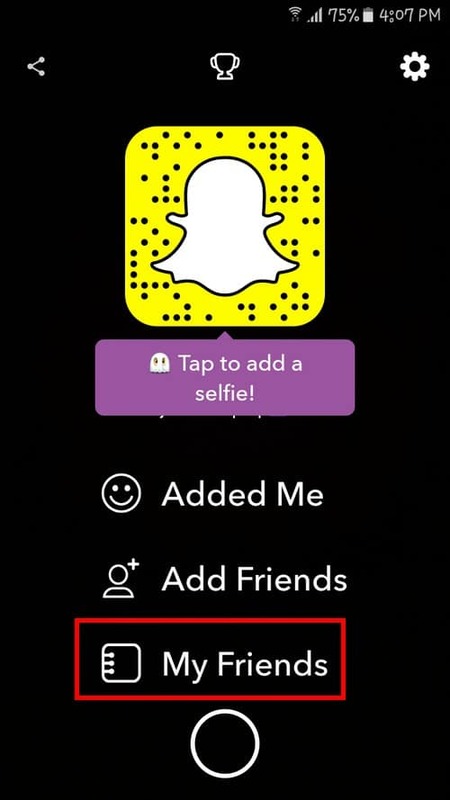 By default, Snapchat will only show you three of your best friends. If you want to increase this number to five or seven, you will need to make these changes by going to settings. You will also see a score that every friend has. If you keep snapping with that person, the score will keep rising. The top friends with the highest score will become your best friends. It is a Snapchat Friendship algorithm that monitors how many snaps you exchange with someone. Even if someone sends you a lot of snaps, but you only reply to a few of them, that persons will still appear on your Best Friends list on Snapchat. If you are willing to do a workaround or a hack, you could modify who appears on your Best Friends on Snapchat, but that is a whole different story. If you want someone you talk to a lot not to appear in your best friends section on Snapchat, you will have to repeat this process every week. Rinse and repeat. I think that Snapchat should only suggest people you can add to your best friends. The user should be the one who decides who they want on their best friends list and who they don’t. Unfortunately, this is something we have to put up with until Snapchat has mercy on its users and changes this method. You opened Snapchat to see who the app considers is your best friend, but you don’t see any. Don’t worry; you have this feature on the app, but if you don’t see a Best Friends list on Snapchat, is just means you haven’t spoken to a lot of people that week. Wait until the new week starts, and if in that week you talk to certain users the most, they will appear on your Best Friends list on Snapchat. A tip to avoid having users that are not your best friends appear as so, try using another messaging app to talk to those people. Use Snapchat to talk to your real Best Friends and another to talk to others that are not. If Snapchat didn’t have this system, this wouldn’t be necessary, but oh well. As you have seen, there is no official way to hide the entire Best Friends on Snapchat, but at least you can remove a contact from it. I said it once, and I will say it again, Snapchat should allow the users to decide who their best friends are. Maybe the reasons why you talk to someone a lot is because they walk your dog or because they take care of a sick family member. Your significant other might get the wrong idea, and that apparently results in unwanted problems. No app is perfect, and it is always going to have or work in a way you are happy with. Even though this feature is one I think many would change, Snapchat still has many useful features you can use, and that keep users coming back for more. Maybe if users keep sending feedback that they want a change as to how Best Friends are chosen, then we might see the changes we want. I hope that you are happy now that you know how to remove someone from your best friends list on Snapchat, but remember to repeat every week. How many people have you withdrawn from the best friends list on Snapchat? Don’t forget to share your thoughts in the comments and to give the post a share. Next: How to Create or Add User Account Using Command Prompt in Windows 10?